A few years ago, a fellow historian named Satolli Glasmeyer came up with an interesting concept that was short and sweet and would give the viewers a short overview of the historic places on video- not to mention an incentive to visit them on their next road trip. History in Your Own Backyard focuses on hidden treasures- past and present- that have historic character based on the author’s visit(s). The videos are between five and 15 minutes pending on topic and most of the places profiled in the videos are located in Indiana, Kentucky, Ohio, New York and Pennsylvania. While some examples will show up as guest column for the Chronicles, you can find the library of videos either on their website here or via youtube. This HYB example takes us back to an old friend that has been gone for quite some time. The Cedar Grove Bridge once spanned the Whitewater River in Franklin County, Indiana. 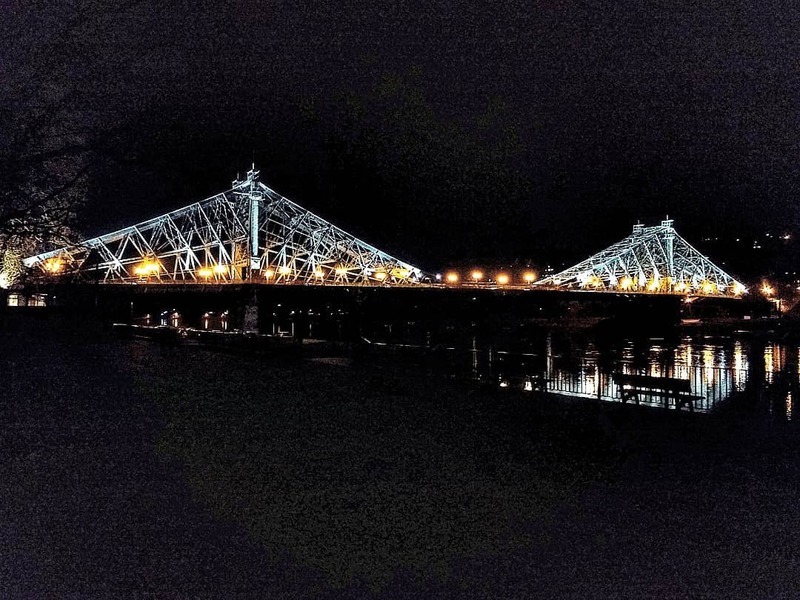 A product of the Indiana Bridge Company of Muncie, this 2-span Camelback through truss bridge, built in 1914 was the focus of one of the filmed documentaries that was done in its memory. This film was released on 22 February, 2016, five days after the structure was demolished after having sat abandoned for 17 years. Attempts to save it through fundraisers and other policies failed. Here is the video of the bridge’s history, which includes the demolition.